A sleeping cat donning it's wings is nestled in a basket. Made of cold-cast bronze (a combination of resin and bronze powder) with a hand-polished bronze patina. 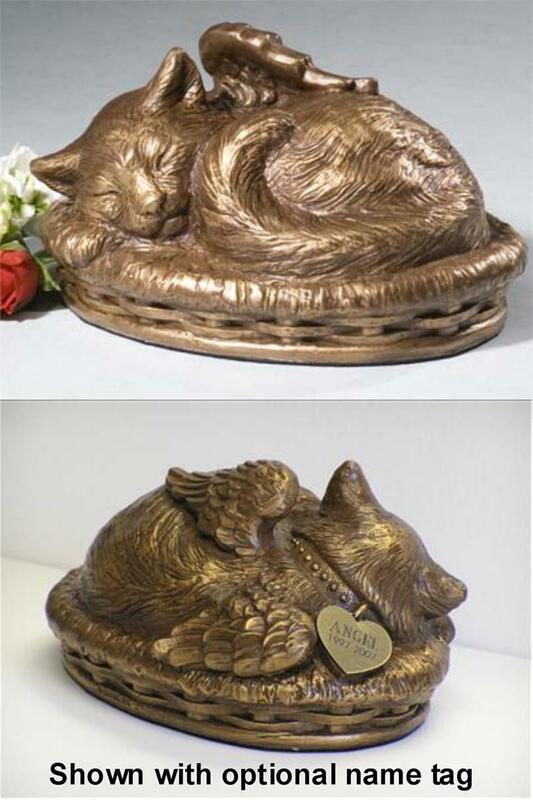 This urn is lightweight and economical yet gives the appearance of a quality bronze piece. 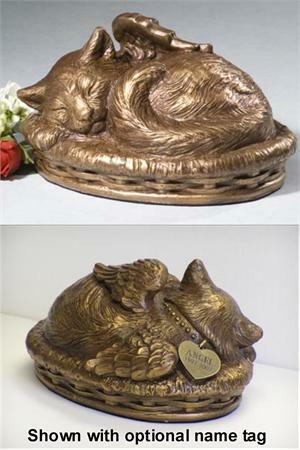 You may choose from the plain angel cat in a basket or angel cat in a basket with personalized name tag at an additional charge. Closure: Bottom-opening stopper. (does not require adhesive) 6.75"W x 5"D x 3.75"H 36 cu. in. Urn Weight: 1 lb. Would you like to order the optional name tag?